Risotto cravings have been hitting me hard these few weeks. Comfort food for busy days. I need to somehow squeeze in a fix this week! I just backed into a pillar and smashed my backlights :( Car boot can't close properly. Need comfort food! tmrw we try to get some comfort food for bfast?? Ooh ouch... heart pain. I hope the Risotto helped. 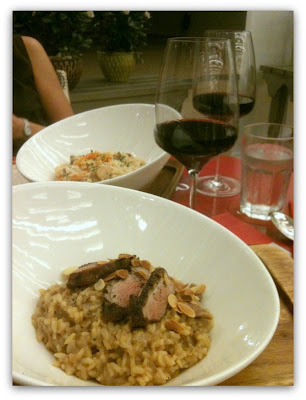 Ohhh..the risotto looks fabulous! Where is this place? Hope the Risotto helped in making you feel better! I bet if I have a car I would do worse things than you! you're already such a careful person! OUCH big time :( Came up to a hefty sum. Aiyah! Next time I take you somewhere near my place that does a good one!